The Epistle of Jude, often shortened to Jude, is the penultimate book of the New Testament and is attributed to Jude, the servant of Jesus and the brother of James the Just. The letter of Jude was one of the disputed books of the Canon. Although its canonical status was contested, its authenticity was never doubted by the Early Church. The links between the Epistle and 2 Peter, its use of the Apocryphal Books, and its brevity raised concern. It is one of the shortest books/letters in the Bible, being only 25 verses long. Jude then asks the reader to recall how even after the Lord saved his own people out of the land of Egypt, he did not hesitate to destroy those who fell into unbelief, much as he punished the angels who fell from their original exalted status. Jude quotes directly from the Book of Enoch, part of the scripture of the Ethiopian and Eritrean churches but rejected by other churches. He cites Enoch's prophecy that the Lord would come with many thousands of his saints to render judgement on the whole world. He also paraphrases an incident in a text that has been lost about Satan and Michael quarreling over the body of Moses. The Epistle of Jude is held as canonical in the Christian Church. 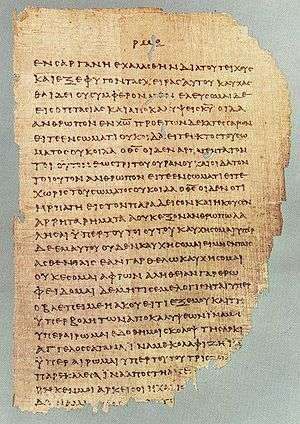 Although some scholars consider the letter a pseudonymous work written between the end of the 1st century and the first quarter of the 2nd century, arguing from the references to the apostles, tradition; and the book's competent Greek style, conservative scholars date it between 70 and 90. "More remarkable is the evidence that by the end of the second century Jude was widely accepted as canonical." Clement of Alexandria, Tertullian and the Muratorian canon considered the letter canonical. The first historical record of doubts as to authorship are found in the writings of Origen of Alexandria, who spoke of the doubts held by some—albeit not him. Eusebius classified it with the "disputed writings, the antilegomena." The letter was eventually accepted as part of the Canon by the Church Fathers such as Athanasius and the Synods of Laodicea (c. 363) and Carthage (397). The Epistle title is written as follows: "Jude, a servant of Jesus Christ and brother of James" (NRSV). There is a dispute as to whether "brother" means someone who has the same father and mother, or a half-brother or cousin or more distant familial relationship. This dispute over the true meaning of "brother" grew as the doctrine of the Virgin Birth evolved. The debate has continued over the author's identity as the apostle, the brother of Jesus, both, or neither. Some scholars have argued that since the author of that letter has not identified himself as an apostle and actually refers to the apostles as a third party, he cannot be identified with the Jude who is listed as one of the Twelve (and, in the Gospel of Luke, is explicitly identified as being as "of James"). Others have drawn the opposite conclusion, i.e., that as an apostle, he would not have made such a claim on his own behalf. The many Judes, named in the gospels and among the relatives of Jesus, and his relationship to James the Just called the brother of Jesus has caused much confusion. Not a lot is known of Jude, which would explain the apparent need to identify him by reference to his better-known brother. The Epistle of Jude is a brief book of only a single chapter with 25 verses. It was composed as an encyclical letter—that is, one not directed to the members of one church in particular, but intended rather to be circulated and read in all churches. The form, as opposed to the earlier letters of Paul, suggests that the author knew Paul's Epistle to the Ephesians or even that the Pauline epistles had already been collected and were circulating when the text was written. The wording and syntax of this epistle in its original Greek demonstrates that the author was capable and fluent. The epistle is addressed to Christians in general, and it warns them about the doctrine of certain errant teachers to whom they were exposed. Examples of heterodox opinions that were circulating in the early 2nd century include Docetism, Marcionism, and Gnosticism. The epistle's style is combative, impassioned, and rushed. Many examples of evildoers and warnings about their fates are given in rapid succession. The epithets contained in this writing are considered to be some of the strongest found in the New Testament. The epistle concludes with a doxology, which is considered by Peter H. Davids to be one of the highest in quality contained in the Bible. Part of Jude is very similar to 2 Peter (mainly 2 Peter chapter 2), so much so that most scholars agree that there is a dependence between the two; that either one letter used the other directly, or they both drew on a common source. Because this epistle is much shorter than 2 Peter, and due to various stylistic details, some writers consider that Jude was the source for the similar passages of 2 Peter. However other writers, noting that Jude 18 quotes 2 Peter 3:3 as past tense, consider that Jude came after 2 Peter. Some scholars who consider Jude to predate 2 Peter note that the latter appears to quote the former but excises the reference to the non-canonical book of Enoch. The Epistle of Jude references at least two other books, with one being non-canonical in all churches and the other non-canonical in most churches. Verse 9 refers to a dispute between Michael the Archangel and the devil about the body of Moses. Some interpreters understand this reference to be an allusion to the events described in Zechariah 3:1-2. The classical theologian Origen attributes this reference to the non-canonical Assumption of Moses. According to James Charlesworth, there is no evidence the surviving book of this name ever contained any such content. Others believe it to be in the lost ending of the book. Verses 14–15 contains a direct quote of a prophecy from 1En.1:9. The title "Enoch, the seventh from Adam" is also sourced from 1En.60:1. Most commentators assume that this indicates that Jude accepts the antediluvian patriarch Enoch as the author of the Book of Enoch which contains the same quotation. However an alternative explanation is that Jude quotes the Book of Enoch aware that verses 14–15 are in fact an expansion of the words of Moses from Deuteronomy 33:2. This is supported by Jude's unusual Greek statement that "Enoch the Seventh from Adam prophesied to the false teachers, not "concerning" them. The Book of Enoch is not considered canonical by most churches, although it is by the Ethiopian Orthodox church. According to Western scholars, the older sections of the Book of Enoch (mainly in the Book of the Watchers) date from about 300 BC and the latest part (Book of Parables) probably was composed at the end of 1st century BC. It is generally accepted by scholars that the author of the Epistle of Jude was familiar with the Book of Enoch and was influenced by it in thought and diction. Jude 1:14–15 quotes 1Enoch 1:9 which is part of the pseudepigrapha and is among the Dead Sea Scrolls [4Q Enoch (4Q204[4QENAR]) COL I 16–18]. ↑ Council of Laodicea at bible-researcher.com. Retrieved 2011-10-05. ↑ B.F. Westcott, A General Survey of the History of the Canon of the New Testament (5th ed. Edinburgh, 1881), pp. 440, 541-2. ↑ e.g. Terrance Callan, Use of the Letter of Jude by the Second Letter of Peter, in Biblica 85 (2004), pp. 42–64. ↑ e.g. John MacArthur 1, 2, 3, John Jude 2007 p101 "...closely parallels that of 2 Peter (2:1–3:4), and it is believed that Peter's writing predated Jude for several reasons: (1) Second Peter anticipates the coming of false teachers (2 Pet. 2:1–2; 3:3), whereas Jude deals with their arrival (vv. 4, 11–12, 17–18); and (2) Jude quotes directly from 2 Peter 3:3 and acknowledges that it is from an apostle (vv. 17–18)." ↑ Dale Martin 2009 (lecture). "24. Apocalyptic and Accommodation". Yale University. Accessed July 22, 2013. ↑ "ANF04. Fathers of the Third Century: Tertullian, Part Fourth; Minucius Felix; Commodian; Origen, Parts First and Second".